A party litigant who sought leave to appeal against a Sheriff Appeal Court decision refusing to allow his appeal to be received late has had his application dismissed by the Court of Session. The applicant had missed the deadline to lodge his ground of appeal in time by six days due to illness and argued that because of a “minor infection” of the rules he would suffer a “miscarriage of justice”, but a judge in the Inner House refused the application for leave to appeal after ruling that there was no error of law by the Sheriff Appeal Court, although she expressed her sympathy for his position. 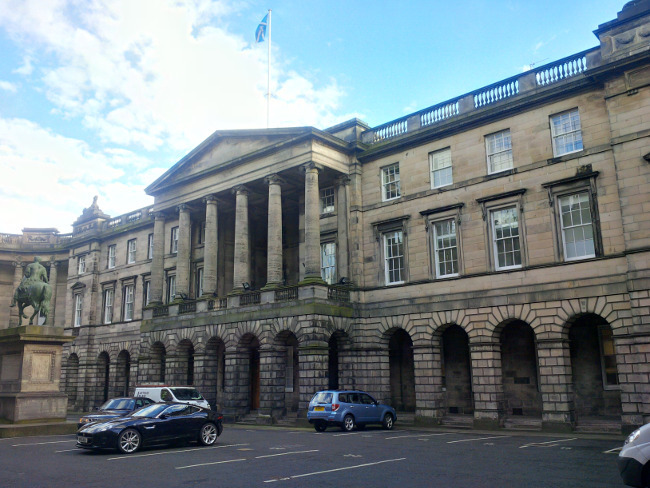 Lady Clark of Calton heard that the applicant “KS” sought leave from Court of Session to appeal against a decision of the Sheriff Appeal Court made on 12 June 2017 in which the court refused to allow an appeal to be received late. The court was told that on April 24 the appellant had lodged grounds of appeal but these failed to comply with Rule 6.6(3) in that they did not state whether he considered the appeal should be appointed to the standard appeal procedure or the accelerated appeal procedure and the appeal was returned to the appellant. In terms of Rule 6.3 an appeal requires to be lodged within 28 days of the day after the decision appealed against is given, which in this case was April 12, meaning that the grounds of appeal required to be lodged by May 10. The extract decree against the defenders was issued on May 11, but the appellant only re-lodged the grounds of appeal in correct form on May 16; his explanation being that his ill health had prevented him from lodging the papers timeously. Having regard to Alloa Brewery Company Limited v Porter 1991 SCLR 70 there is generally no appeal against an extracted judgment; an appeal can only be considered if there is some impropriety in the issuing of the extract decree, but there was no suggestion here of any impropriety. In the circumstances, the court was not prepared to allow the appeal to be received late, as the appeal post-dated the issue of extract decree. The applicant unsuccessfully sought leave to appeal from the Sheriff Appeal Court, prompting the application to the Court of Session. He accepted that the appeal did not raise an important point of principle or practice, but submitted that there was some “other compelling reason” to hear the appeal because he would suffer a miscarriage of justice by being “denied justice”. In a written opinion, Lady Clark said: “Accepting for present purposes that what was said by the applicant was true, I consider that the applicant made a powerful submission to the effect that because of a minor infraction of the Rules, in circumstances where he had no actual knowledge, he was left in a position where his substantive appeal had not been heard and determined by the Sheriff Appeal Court. “I accept that there are some restricted circumstances under the law, as it has developed to date, in which the court has power to grant late leave to appeal even after an interlocutor has been extracted. The difficulty for the applicant is that the power of the court is not a matter of open discretion dependent upon all the circumstances of the case. The scope of exception to the normal rule is limited to circumstances where there is some incompetence or irregularity. “It appears that the Sheriff Appeal Court did have some sympathy for the position of the applicant and I also have sympathy for his position. Nevertheless I am unable to identify any error of law by the Sheriff Appeal Court. She added: “In the present case the applicant accept that he had not complied with all the relevant rules prior to extract, albeit he submitted was only a minor infraction. I accept that the failure was minor but nevertheless the rules were not complied with. “I cannot find in any of the case law any support for an exception in the circumstances described by the appellant. I accept that a litigant, especially perhaps a party litigant, may suffer problems and pressures and one may often sympathise with that.